I received an unexpected phone call yesterday from Sophie’s developmental pediatrician’s office. A kind nurse, Joann, was calling to inform me of the results of Sophie’s recent developmental screening that we completed at home. I wasn’t expecting a phone call with the results; I was expecting to discuss her developmental status at her next appointment in the spring. I’d been caught unprepared, my heart not guarded. There’s a good bit of shoring up emotionally that I tend to do before these types of conversations. Immediately, my heart began to race. Mentally, I began to brace for another difficult conversation. To my shock and awe, it was not a difficult conversation that followed. Hold on to your hats!! Sophie scored just slightly below the average for a typically developing child of her age. “Say what?! What does that mean?” I asked the nurse. She explained: All the typically developing children in her group would be in one of three categories — average, above average, or below average. Those who fall below the “below average” group are considered developmentally delayed. 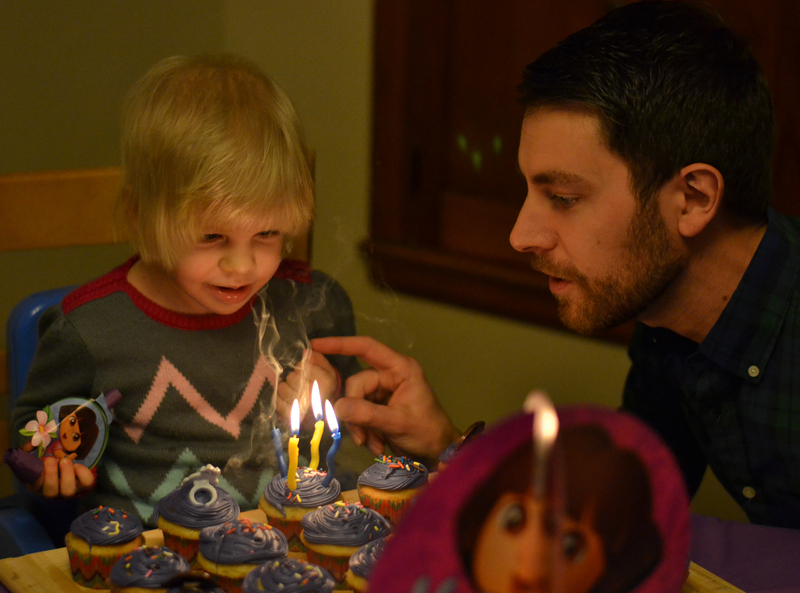 Since she was four months old, Sophie has been labeled as developmentally delayed. She has scored outside the typical range for development in her age group. For four years we’ve carried that label. Four years. 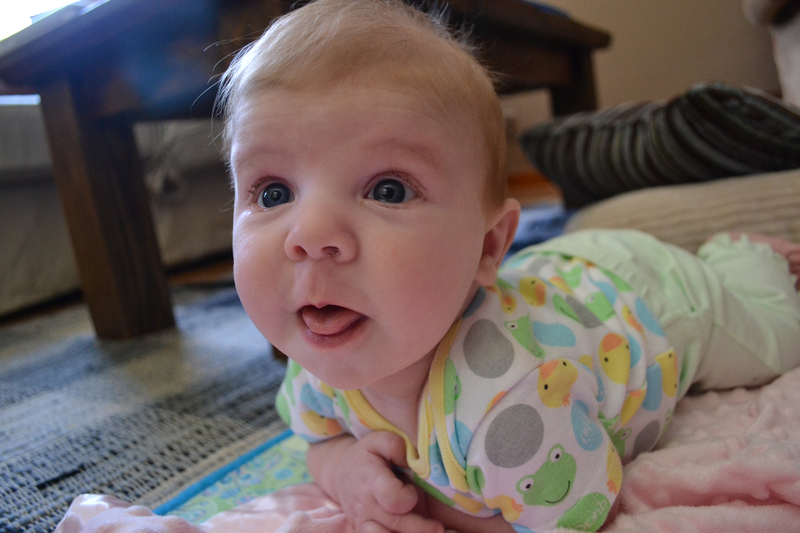 At just four months old, Sophie was diagnosed with developmental delays. 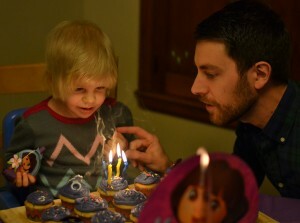 My big four-year-old blew out her candles for the first time! I can’t even begin to express my joy over this phone call! As a teacher, I’ve honestly never understood the parents and students who were pleased that their child received a D rather than an F. But now I totally get it. For the first time in perhaps her entire sweet life, Sophie is falling within the range of typical development for a child her age, just slightly below the average child. I recognize that there are still many areas where she is behind. But — I. Will. Take. It. I’ve spent much of the past year accepting the reality that Sophie might always be considered developmentally delayed. I don’t like to live in the future, but there is wisdom in preparing the heart and mind for realistic possibilities. The hope of “catching up” any time soon was long since left in the dust. But here we are. Very close to being caught up. Wow. It feels good. Whatever genetic mix-up Sophie carries, its affect is mild. The timing of this phone call was, as per usual for me, too precise to be coincidental. Right before I received this call, I had just shared on social media a favorite verse of mine found in Genesis 16:13: “She gave this name to the Lord who spoke to her: ‘You are the God who sees me,’ for she said, ‘I have now seen the One who sees me.’” Hagar, Sarai’s maidservant who conceived a son, Ishmael, with Abram, Sarai’s husband, gave God this name. She was running and hiding because her life was a mess. But because God saw her, she was able to lift her chin, return to her mess, and even receive God’s blessing. Whenever I have felt overwhelmed, I have prayed this prayer, that I would know I am seen by God. There’s just something about being seen, being noticed, by the God of the universe. He always answers, without fail, in a way that I just can’t overlook or write off, like a surprisingly good phone call from a doctor’s office. Dear God, you do see me. I don’t deserve it, but I am thankful. Wonderful! & To God be all glory! He is an amazing God! I am currently reading Priscilla Shirer’s book GOD IS ABLE. It is based on Ephesians 3:20. It is hard to put down! God cares about all areas of our life…even little stuff. His ability is “exceeding abundantly beyond” our expectations!! Thank you for sharing this beautiful act of God in your life! !